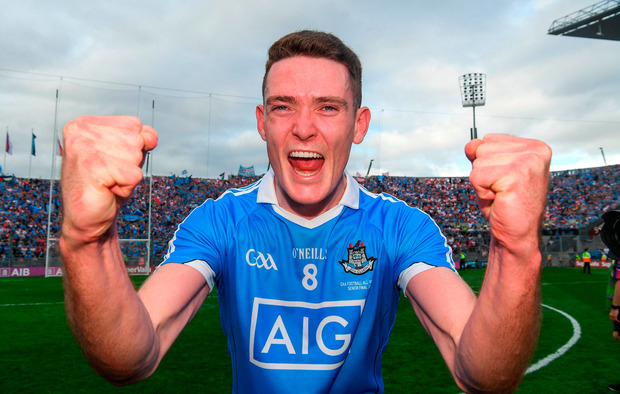 BRIAN Fenton is in line to play for Dublin in their Division 1 league clash with Monaghan in Clones on Sunday. Reports this week stated that the reigning Footballer of the Year was abroad. He has, however, been training with Dublin in the build-up to their League opener and is set to feature in St Tiernach's Park. The Dublin hurlers meanwhile, have been boosted by the availability of John Hetherton for their Division 1B clah with Carlow in Parnell Park tomorrow (7.0). Despite initial confusion as to whether Hetherton’s straight red card against Galway in the Walsh Cup semi-final carried a game or tie based ban, he has been cleared to play and will instead be suspended for Dublin’s first game of next year’s pre-season competition. Both Paddy Smyth and Eoghan O’Donnell were taken off at half-time in DCU’s Fitzgibbon Cup victory over CIT yesterday as Mattie Kenny surveys his squad ahead of his first League selection as Dublin manager following a hectic week of college action. The Throw-In Allianz League preview: Do Kerry need to toughen up? Can Tipperary overcome their demons?